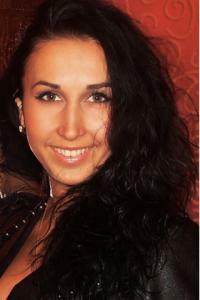 Self description: I am a woman who is always cheerful and happy! I am communicative and open! I am also sincere and I value this quality in others. I am kind and honest and I try to treat others as I would like to be treated. What you are looking in your partner: I hope to meet a kind-hearted, cheerful, sociable and honest man who is ready to be responsible, loving and caring. It is also very important to me to be able to discuss and talk about everything with him. It is the only way to get a mutual understanding and to build strong relationship.